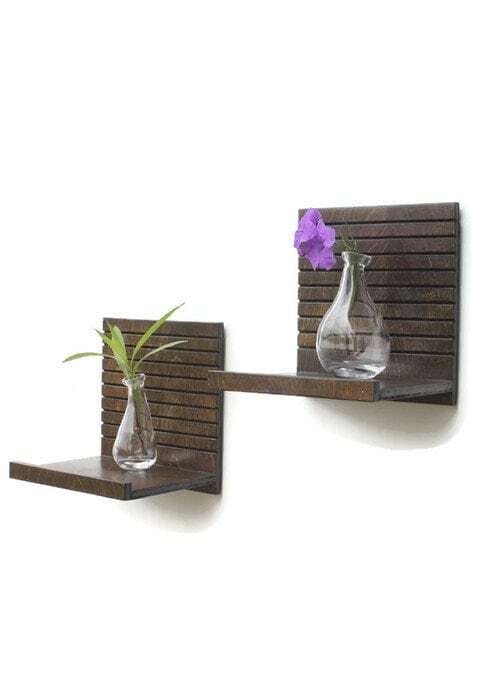 These modern shelves hang easily on the wall utilizing two keyhole hangers for a sturdy attachment. 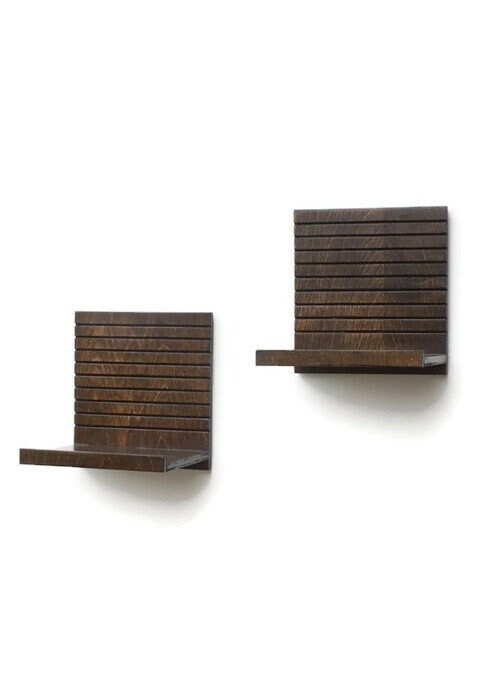 An additional feature is added to the back of each decorative shelf to ensure an even interface between the product and your wall. Screws and wall anchors are also provided. 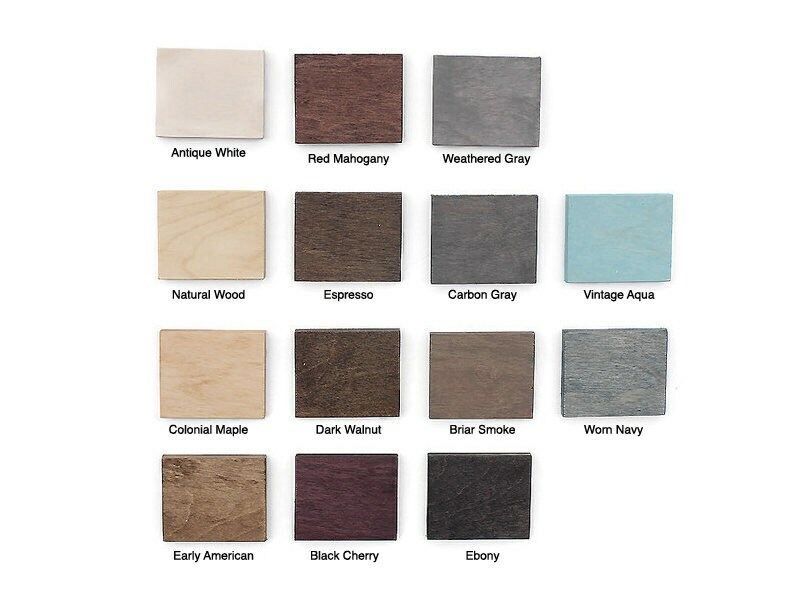 • Color: Please see color swatch image and choose stain color from drop down box. (Espresso Stain is shown in this listing.) Shelves are finished in a matte clear coat. 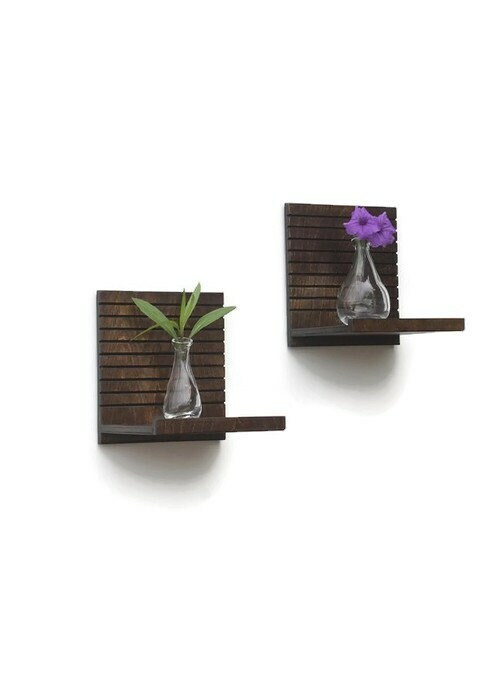 • Each modern wood shelf is handcrafted with strong joints and made of wood artfully hand tooled in a pattern of repeating horizontal lines. 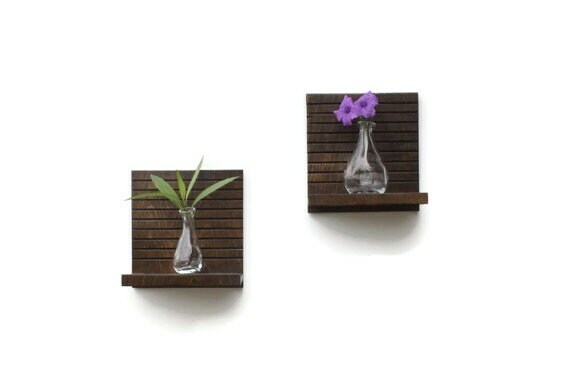 • The products are easy to install using two sturdy keyhole hangers mounted on the back of each wood shelf. • As a courtesy, your order will come with screws and wall anchors. • Kindly allow 7-10 days for custom creations. Custom orders are final sale. *Prior to purchasing, please visit our policies page for additional information.